Higher education is meant to enrich the intellectual prowess of the learners and to promote a respect for reason. It is not enough to know the answers to the questions asked: it is equally important to learn to question the answers. A critical, systematically inquiring mind is the end result of a proper intellectual training. Logic is the study of the methods and principles used to distinguish correct from incorrect reasoning. Study of logic is an effective tool for achieving these goals. Furthermore, mere delivery of information to the students does not teach them how to organize or systematize their thoughts, or how to assess what they have received. While teaching some effective time –tested methods for processing, analyzing and evaluating information, study of logic also teaches how to enrich one’s intellectual life with a logical approach. Friends, welcome to the first page of Logic in India. It is for Indian students prepared for first paper entitled Principles of Logic in Diploma-in-Reasoning course of Department of Philosophy, Kurukshetra University, Kurukshetra, where I taught four years. It is also beneficial for graduate students who have elementary logic course in their syllabus. Basically I used both printed books and internet sources to prepare it. You can find the course syllabus in my post “Philosophy is Nothing without Logic” at The Positive Philosophy page and also in the side links of this page. This is only a draft, kindly send your suggestions and ideas to dr.sirswal@gmail.com or niyamak.drs@gmail.com, I shall be highly thankful to you. A short list of reference books are mentioned below of the Table of Contents and reference sites are linked with this page. 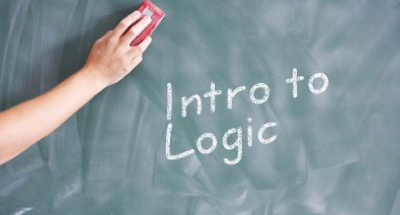 This page introduces the basic conceptions of formal logic, informal logic and also Symbolic logic. 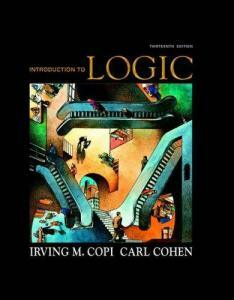 Logic: Logic is a branch of Philosophy, dedicated to the study of reasoning. 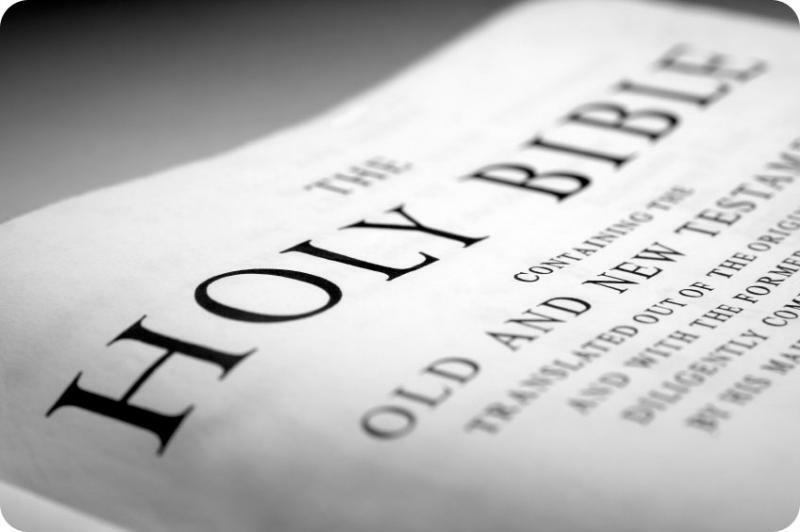 The word ;Logic ‘ derives from Greek logike, means “possessed of reason, intellectual, dialectical, argumentative”, from logos equivalent to “word, thought, idea, argument, account, reason, or principle”. Logic is the study of the methods and principles used to distinguish correct reasoning from incorrect reasoning. The aim of the logic is to provide methods, techniques and devices which help in differentiating right reasoning from wrong reasoning and good reasoning from bad. But it does not mean that only those who study logic can reason correctly. However it is true that those who study logic certainly make less errors while arguing. Knowledge of logic helps one to face a problem in a more orderly and systematic way and in many cases makes the solution less difficult and more certain. Like any other active field of study, it too has grown in many directions. Today, logic is both a branch of philosophy and a branch of mathematics. Its applications as well known in the area of artificial intelligence. This page aims primarily to acquaint the readers with the basics of what is known as classical logic or classical first order logic and sometime also called as formal logic, because proponents of this logic mostly believe that statements in natural language have underlying logical forms. In their view, the expression in logic exhibit these latent deep structures or the logical forms. If the deep structures of the form is correct, only then a piece of reasoning in natural language is valid. Here we will also study Informal Logic (Fallacies). There are many other kinds of logic: Many-Valued Logic, Fuzzy Logic, Non-Monotonic Logic, Modal Logic and Paraconsistent Logic. 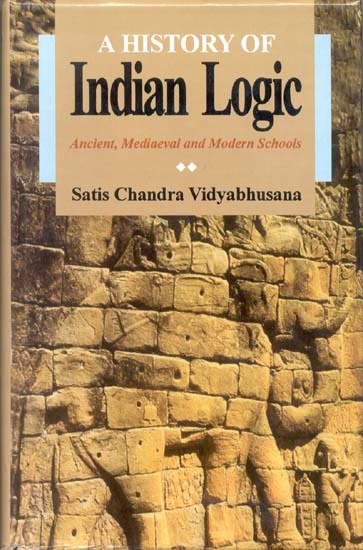 You can find a short note and suggested books about kinds of logic in Chhanda Chakraborti : Logic: Informal, Symbolic & Inductive. The earliest sustained work on the subject of logic is that of Aristotle, In contrast with other traditions, Aristotelian logic became widely accepted in science and mathematics, ultimately giving rise to the formally sophisticated systems of modern logic. Several ancient civilizations have employed intricate systems of reasoning and asked questions about logic or propounded logical paradoxes. In India, the Nasadiya Sukta of the Rigveda (RV 10.129) contains ontological speculation in terms of various logical divisions that were later recast formally as the four circles of catuskoti: “A”, “not A”, “A and not A”, and “not A and not not A”. The Chinese philosopher Gongsun Long(ca. 325–250 BC) proposed the paradox “One and one cannot become two, since neither becomes two.” Also, the Chinese ‘School of Names’ is recorded as having examined logical puzzles such as “A White Horse is not a Horse” as early as the fifth century BCE. In China, the tradition of scholarly investigation into logic, however, was repressed by the Qin dynasty following the legalist philosophy of Han Feizi. Logic in Islamic philosophy also contributed to the development of modern logic, which included the development of “Avicennian logic” as an alternative to Aristotelian logic. Avicenna’s system of logic was responsible for the introduction of hypothetical syllogism, temporal modal logic, and inductive logic. The rise of the Asharite school, however, limited original work on logic in Islamic philosophy, though it did continue into the 15th century and had a significant influence on European logic during the Renaissance. In India, innovations in the scholastic school, called Nyaya, continued from ancient times into the early 18th century, though it did not survive long into the colonial period. In the 20th century, Western philosophers like Stanislaw Schayer and Klaus Glashoff have tried to explore certain aspects of the Indian tradition of logic. During the later medieval period, major efforts were made to show that Aristotle’s ideas were compatible with Christian faith. During the later period of the Middle Ages, logic became a main focus of philosophers, who would engage in critical logical analyses of philosophical arguments. The syllogistic logic developed by Aristotle predominated until the mid-nineteenth century when interest in the foundations of mathematics stimulated the development of symbolic logic (now called mathematical logic). 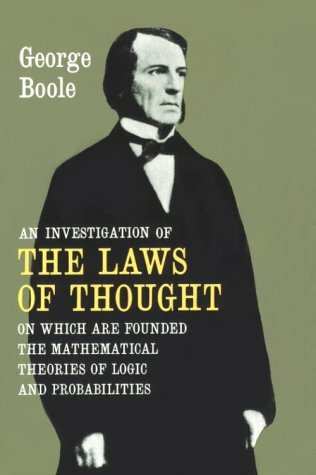 In 1854, George Boole published An Investigation of the Laws of Thought on Which are Founded the Mathematical Theories of Logic and Probabilities, introducing symbolic logic and the principles of what is now known as Boolean logic. In 1879 Frege published Begriffsschrift which inaugurated modern logic with the invention of quantifier notation. In 1903 Alfred North Whitehead and Bertrand Russell published Principia Mathematica on the foundations of mathematics, attempting to derive mathematical truths from axioms and inference rules in symbolic logic. In 1931 Gödel raised serious problems with the foundationalist program and logic ceased to focus on such issues. }We can rectify the mistakes in our arguments. }Logic is the Science of Sciences. }The study of logic is a part of true Education. }Logic is useful in everyday life. Logic can help us in explaining and demonstrating truth. }Our course primarily to acquaint the students with the basics of what is known as classical logic or classical first order logic and sometime also called as formal logic, because proponents of this logic mostly believe that statements in natural language have underlying logical forms. In their view, the expression in logic exhibit these latent deep structures or the logical forms. If the deep structures of the form is correct, only then a piece of reasoning in natural language is valid. }Copi, Cohen, Jetli & Prabhakar: Introduction to Logic. }Chhanda Chakraborti : Logic: Informal, Symbolic & Inductive. Krishana Jain:A Text Book of Logic. Reasoning is an art as well as a science; it is something we do as well as understand. The mental recognition of cause –and –effect relationship is called ‘reasoning’. It may be prediction of an event from an observed cause or the inference of a cause from an observed event. Logical Reasoning is a process of passing from the known to the unknown. It is the process of deriving a logical inference from a hypothesis through reasoning. In logic, we often refer to the two broad methods of reasoning as the deductive and inductive approaches. Deductive reasoning works from the more general to the more specific. Sometimes this is informally called a “top-down” approach. We might begin with thinking up a theory about our topic of interest. We then narrow that down into more specific hypotheses that we can test. We narrow down even further when we collect observations to address the hypotheses. This ultimately leads us to be able to test the hypotheses with specific data — a confirmation (or not) of our original theories. Inductive reasoning works the other way, moving from specific observations to broader generalizations and theories. Informally, we sometimes call this a “bottom up” approach In inductive reasoning, we begin with specific observations and measures, begin to detect patterns and regularities, formulate some tentative hypotheses that we can explore, and finally end up developing some general conclusions or theories. The form or logical form of an argument is the representation of its sentences using the formal grammar and symbolism of a logical system to display its similarity with all other arguments of the same type. It consists of stripping out all spurious grammatical features from the sentence (such as gender, and passive forms), and replacing all the expressions specific to the subject matter of the argument by schematic variables. Thus, for example, the expression ‘all A’s are B’s’ shows the logical form which is common to the sentences ‘all men are mortals’, ‘all cats are carnivores’, ‘all Greeks are philosophers’ and so on. In any discipline one seeks to establish facts and to draw conclusions based on observations and theories. One can do so deductively or inductively. In inductive reasoning, one starts with many observations and formulates an explanation that seems to fit. In deductive reasoning, one starts with premises and, using the rules of logical inference, draws conclusions from them. In disciplines such as mathematics, deductive reasoning is the predominant means of drawing conclusions. In fields such as psychology, inductive reasoning predominates, but once a theory has been formulated, it is both tested and applied through the processes of deductive thinking. It is in this that logic plays a role. The other method of reasoning, the deductive method, begins with an accepted generalization–an already formulated or established general truth and applies it to discover a new logical relationship. That is, through deduction we can come to understand or establish the nature of something strange or uncertain by associating or grouping it with something known or understood. All trees have root systems. All root systems need nitrogen. Therefore, All trees need nitrogen. But before we get into syllogistic analysis, a little more needs to be said about deduction as a whole. We said earlier that deduction begins with an accepted generalization. Such a statement raises two questions: (1) Where do these generalizations come from and (2) Why are they accepted or assumed to be true? In all four of these cases, the immediate source may be authority rather than personal experience. That is, the inductive conclusion, the deductive argument, the revelation, or the assumption may have been achieved by a third party who presents the generalization to us for acceptance on the basis of authority, in which case we take it on faith. You may not be able to do a large scale inductive experiment to find out whether a certain generalization is true, so you look in a book and accept the generalization of the authority. The term validity (also called logical truth, analytic truth, or necessary truth) as it occurs in logic refers generally to a property of particular statements and deductive arguments. Although validity and logical truth are synonymous concepts, the terms are used variously in different contexts. Whether or not logical truth is analytic truth is a matter of clarification. An argument is deductively valid if, whenever all premises are true, the conclusion is also necessarily true. An argument that is not valid is said to be “invalid’’. Therefore, Socrates is a man. Therefore, s is a Q. Therefore, s is a P.
An argument is formally valid if its form is one such that for each interpretation under which the premises are all true also the conclusion is true. As already seen, the interpretation given above does cause the second argument form to have true premises and false conclusion, hence demonstrating its invalidity. Principle of Identity: This principle asserts that if any statement is true, then it is true. Using our notation we may rephrase it by saying that the principle of identity asserts that every statement of the from p implication p must be true, that every such statement is tautology. Principle of Noncontradiction: This principle asserts that no statement can be both true and false. Using our notation we may rephrase it by saying that the principle of noncontradiction asserts that every statement of the form p ·~p must be false, that every such statement is self-contradictory. Principle of Excluded Middle: This principle asserts that every statement is either true or false. Using our notation we may rephrase it by saying that the principle p disjunction ~p must be true, that every such statement is a tautology. Law of Sufficient Reason : In Leibniz , the view that nothing takes place without a reason sufficient to determine why it is as it is and not otherwise. He held that criteria of truth are clarity and absence of contradiction. 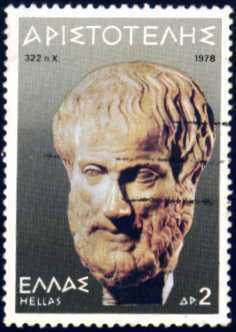 Thus, to test the truths of reason it was enough to apply the logic of Aristotle (the law of identity, contradiction and the excluded middle) while the law of sufficient reason was needed to test “truths of fact.” This law comes very near to the harmony of truth according to which statement is true which harmonizes will all things known. These laws are sometimes misunderstood. The first does not imply nothing ever changes. The second does not imply that a thing can have only one property. The third does not imply that everything is black or white: it implies only that either everything is black or something is not black. Aristotle identified these laws as the necessary condition of human thought: without them, thought cannot occur. He also held them as laws of thought, i.e. as fundamental principles for human rational thinking. George Boole, one of the greatest mathematicians of 19th century and one of the founders of mathematical logic, fully supported these Aristotelian notions. Propositions are the material of our reasoning. A proposition links nouns, pronouns and phrases to other words in a sentence. The word or phrase that the proposition introduces is called the object of the proposition.A proposition is a judgment expressed in a language and a judgment is a mental act in which two or more than two ideas are combined together. 1. Affirmative- Indians are laborious. 2. Negative- Indians are not dull. The book is beneath the table. The book is leaning against the table. The book is beside the table. She held the book over the table. She read the book during class. Subject- About whom something asserts or denies. Copula– Conjunct both subject and predicate terms. Copula will be negative or affirmative. Sonia is a good orator. Propositions are different from sentences. Sentences have many kinds like questions, exclamations etc. But none of these can be asserted and denied. Truth and Falsity apply always to proposition, but not apply to questions or commands or exclamations. Propositions must be differentiated from sentences by means of what they are asserted. Two different sentences consisting the same proposition. Sentences are parts of some language, but propositions are not tied to any given language i.e. “It is raining”, “Barsat ho rahi hai”, both consist the same content. A sentence called as proposition when it’s both term (subject and predicate) are nouns i.e. Ram is a man. “Flower is beautiful” is not a proposition because its predicate is adjective. Proposition is always in present tense. But sentences are expressed in all tenses. Proposition explains quantity and quality but sentence does not explain it. All propositions are sentences but not all sentences are propositions. Categorical Proposition: It is a type of proposition which has no condition for their assertion. – Roshan is a student. Conditional or Hypothetical Proposition: A type of compound proposition, it is false only when the antecedent is true and the consequent is false.- If Ram will pass, then he will get a bicycle. Disjunctive Proposition: A type of compound proposition; if true, at least one of the component of propositions must be true.-Ram is honest or clever. A categorical proposition is simply a statement about the relationship between categories. It states whether one category or categorical term is fully contained with another, is partially contained within another or is completely separate. No dog is a cat. Propositions may have quality: either affirmative or negative. They may also have quantity: such as ‘a’, ‘some’, ‘most’ or ‘all’. The ‘all’ quantity is also described as being universal and other quantities particular. Universal Affirmative – All S is P. – A Type Proposition– All men are mortal. Universal Negative – No S is P. – E Type Proposition– No men are immortal. Particular Affirmative – Some S is P. – I Type Proposition– Some men are wise. Particular Negative – Some S in not P. –O Type Proposition– Some men are not wise. Both subject and predicate of a proposition are called as term. A term is a word or group of words which is either a subject or a predicate of a proposition. A term is said to be distributed if it refers to all the members of a class. In the other words, a term is distributed when it includes or excludes all the members of a class. If a term includes or excludes only some members of a class, then it is undistributed. A Type: In “All A are B”-propositions the subject (A) is distributed. E Type: In “No A are B”-propositions both the subject (A) and the predicate (B) are distributed. I Type : In “Some A are B”-propositions neither the subject nor the predicate are distributed. O Type : In “Some A are not B”-propositions the predicate is distributed. 1. 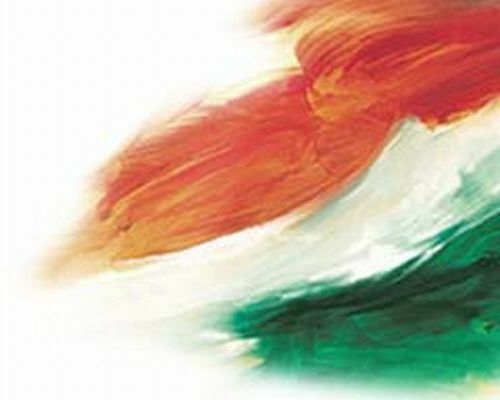 The middle term must be distributed at least in one premise. 2. If the major term or the minor term is distributed in the conclusion, then it must be distributed in the premises. Denotation denotes the objects, connotation connotes the characteristics. Denotation of a term refers to the objects or things which possess the quality. Connotation refers to the set of characteristics essentially possessed by every object denoted by the term. For example, Man, Gita, Mohan, Kamal etc. Man means that possess morality and rationality.